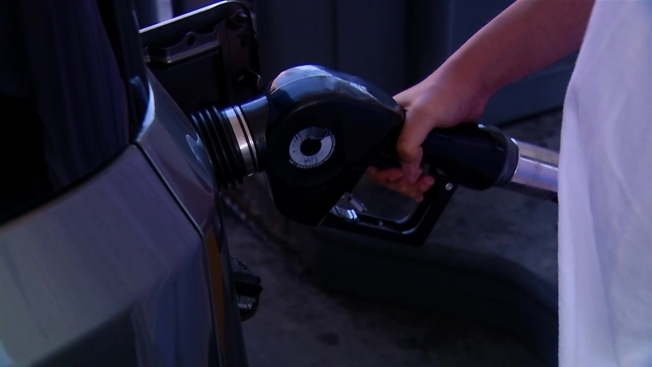 It’s tough enough to cope with the sudden spike in gas prices, but the fact that Californians are paying more to fill their tanks than any state in the U.S., with the exception of Hawaii, is making drivers here feel even worse. After hitting a five-year low in late January, the cost of fuel in California has shot up more than a dollar per gallon, with drivers paying an average of $3.52 for regular at stations in the greater Los Angeles area. That’s nearly triple the average increase nationwide. The oil industry blames rising gas prices on an explosion at the Exxon-Mobil refinery in Torrance last month, which brought production in the damaged units to a standstill. The facility produces nearly 2 billion gallons of gasoline each year, contributing as much as 20 percent of California’s supply. An ongoing strike at the nation’s Tesoro refineries, including one in the Bay Area city of Martinez, is also contributing to the production slowdown. Both factors are pushing up prices nationwide, but in California, the impact on fuel costs is more severe. State air quality requirements control the types of fuels sold, and making cleaner burning gas costs more, says Allison Mac, a petroleum analyst with GasBuddy.com. The annual switch to a more pristine fuel mix drives up prices even more. "Summer blend gasoline is kind of like low fat food," Mac says. "It’s more expensive to produce." But Santa Monica-based advocacy group Consumer Watchdog, said there’s another force driving up prices. According to Liza Tucker, the group’s consumer advocate, while other states have a 24-day supply of gas reserves on average, California has just a 10-day reserve. "The assertion that California maintains a 10-day supply of fuel is not correct. The California Energy Commission reports on inventories of gasoline and diesel at refineries only and does not include products that are stored at the many fuel terminals in the state or is in the extensive intrastate pipeline system. National inventory data compiled by the U.S. Energy Information Service does include those facilities, making it impossible to compare the two sets of data." Consumer Watchdog agrees there is gas in those pipelines and terminals, but says it’s just not enough. The group is urging passage of a state law that would mandate a minimum of 24 days of gasoline supply be kept on reserve to keep prices from skyrocketing when production lags. Petroleum analyst Mac says that might not solve the problem. "Gasoline is not like fine wine, we can’t store it for a long time because it does lose many of its distinctions." California drivers won’t be seeing relief anytime soon. With the sunny weather, and spring break approaching, more people will be outside in their cars, often traveling long distances. According to Mac, that’ll keep prices climbing for at least the next four to six weeks.